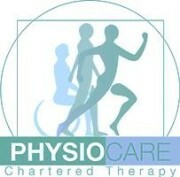 PhysioCare: get back into shape with us ! Working together with our specialist therapists, you´ll be able to find the best approach to recovering and maintaining your health. Our therapy is based on individual therapy programmes which are arranged as you require them. Whether it’s rehabilitation following illness or an operation, or recovery from an accident: we’ll help you get back to your former self. If you have any questions about our treatments across Durham… Contact us !